Sally is an international specialist in sustainable development with over twenty years experience in research, teaching and convening. As an Honorary Senior Research Fellow in Sustainable Development, Sally researches in the areas of sustainability-oriented innovation in business; innovations inspired by nature, and more recently into the role of contemplative science and wisdom in the transition to a wellbeing economy. She was one of the co-founders of the One Planet MBA, and co-author of the 2017 Wiley text book: Sustainable Business: A One Planet Approach. She designed and delivered creative core and elective modules, with innovative pedagogies such as Biomimicry and Business: innovations inspired by nature. She obtained an EU Marie Curie Initial Training Network grant funding the 2013-2016 project ‘Innovating for Sustainability’ (I4S). She was a senior member of the Steering Group, collaborating with seven Universities, from across Europe, and one from South Africa, and supervising a PhD student researching nature-inspired innovation, as well as acting as mentor for a further 7 PhD students researching sustainability-oriented innovation http://www.abis-global.org/projects/i4s. She designed and fundraised for the Business School’s ‘Sustainable Innovation Lab’, and worked with colleagues to deliver multi-stakeholder events, bringing together business leaders, NGOs, and government agencies to explore how sustainability is driving innovation and creating new forms of value in corporations. 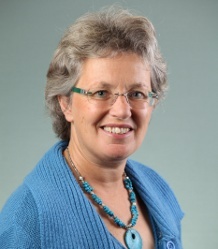 Before joining the Business School, Sally established the Green Economy Coalition and worked as the founding Programme Director, collaborating with numerous international environmental, development, trade union, consumer, business and reporting organisations, to accelerate the transition to an equitable and green economy http://www.greeneconomycoalition.org/. Before that she developed and coordinated IUCN’s global and regional policy dialogues on the Future of Sustainability. She has extensive field experience in Asia, Africa and Western Europe, and has worked for a range of international organizations including WWF International, IUCN, CARE International, DFID and IIED, in special advisory roles, policy and programme development, and project management. She is also on the Boards of two educational organizations: OPEN for Business (One Planet Education Networks) and The Fintry Trust. Jeanrenaud SJ, Jeanrenaud J-P, Gosling J (eds)(2017). Sustainable Business: a One Planet Approach. Chichester, UK, Wiley. Adams R, Jeanrenaud S, Bessant J, Denyer D, Overy P (2016). Sustainability-oriented Innovation: a Systematic Review. International Journal of Management Reviews, 18(2), 180-205. © 2016 British Academy of Management and John Wiley. &. Sons Ltd. This paper is intended as a contribution to the ongoing conceptual development of sustainability-oriented innovation (SOI) and provides initial guidance on becoming and being sustainable. The authors organize and integrate the diverse body of empirical literature relating to SOI and, in doing so, develop a synthesized conceptual framework onto which SOI practices and processes can be mapped. Sustainability-oriented innovation involves making intentional changes to an organization's philosophy and values, as well as to its products, processes or practices to serve the specific purpose of creating and realizing social and environmental value in addition to economic returns. A critical reading of previous literature relating to environmental management and sustainability reveals how little attention has been paid to SOI, and what exists is only partial. In a review of 100 scholarly articles and 27 grey sources drawn from the period of the three Earth Summits (1992, 2002 and 2012), the authors address four specific deficiencies that have given rise to these limitations: the meaning of SOI; how it has been conceptualized; its treatment as a dichotomous phenomenon; and a general failure to reflect more contemporary practices. The authors adopt a framework synthesis approach involving first constructing an initial architecture of the landscape grounded in previous studies, which is subsequently iteratively tested, shaped, refined and reinforced into a model of SOI with data drawn from included studies: so advancing theoretical development in the field of SOI. Jeanrenaud SJ (2002). People-Oriented Approaches in Global Conservation: is the leopard changing its spots?. London, International Institute for Environment and Development (IIED). Fisher RJ, Maginnis S, Jackson W, Barrow E, Jeanrenaud SJ (2008). Linking Conservation and Poverty Reduction: Landscapes, People and Power., Earthscan / James & James. Adams WM, Jeanrenaud SJ (2008). Transition to Sustainability: Towards a Humane and Diverse World., World Conservation Union. Fisher RJ, Maginnis S, Jackson W, Barrow E, Jeanrenaud SJ (2005). Poverty and Conservation. Landscapes, People and Power., Gland: the World Conservation Union. Jeanrenaud S (2001). Communities and Forest Management in Western Europe a Regional Profile of WG-CIFM the Working Group on Community Involvement in Forest Management., IUCN. Mead T, Jeanrenaud S (2017). The elephant in the room: biomimetics and sustainability?. Bioinspired, Biomimetic and Nanobiomaterials, 6(2), 113-121. DOI. Jeanrenaud SJ, Adarves-Yorno, I, Forsans, N (2015). Exploring a One Planet Mindset and its Relevance in a Transition to a Sustainable Economy. Building Sustainable Legacies(5. Reframing the Game: the Transition to a. New Sustainable Economy). Exeter’s One Planet MBA (OP MBA), co-founded and delivered with WWF International, is helping develop a new generation of business leaders, integrating sustainability thinking across its business education curriculum, and fostering a “One Planet Mindset”. But what is a One Planet Mindset? and what is its significance in a transition to a sustainable economy? This paper draws on the sustainability and management literature, and explorations with students to offer some preliminary reflections on these questions. It makes the case that a One Planet Mindset aggregates knowledge, values and skills which help deliver positive outcomes for people, planet and prosperity. It engages a new metaphor of nature as a living planet – one that recognizes that the health of the economy is rooted in, and not independent of, living planetary systems. Such a mindset provides a powerful lever for transforming, self, business and society in the contested transition to a sustainable economy. Seebode D, Jeanrenaud S, Bessant J (2012). Managing innovation for sustainability. R and D Management, 42(3), 195-206. 'Sustainability' is a major and growing driver of business change. Its implications for innovation are clear - living and working in a world of up to 9 billion people with rising expectations, providing energy, food and resource security, dealing with climate change, ecosystem degradation, a widening economic divide and a host of other interdependent issues will require massive change in products, services, processes, marketing approaches and the underlying business models which frame them. The focus of this paper is to develop an understanding of new approaches to innovation management required to take account of the growing pressures and emerging opportunities in the 'sustainability' agenda. In particular, it draws on case studies of a variety of organisations to help answer the question of what practical actions might be taken beyond the rhetoric of moving towards greater sustainability or 'greening' of business. © 2012 Blackwell Publishing Ltd.
Jeanrenaud SJ, Jeanrenaud J-P (2018). Navigating the Anthropocene: Insights from the Wisdom of the Corpus Hermeticum. In Crumplin M-A (Ed) Deep Philosophy, Deep Ecology, UK: Prometheus Trust, 117-145. Navigating the Anthropocene: Insights from the Wisdom of the Corpus Hermeticum. Jeanrenaud SJ, Jeanrenaud J-P (2018). The Mindful Promise: Leading with Integrity for a Sustainable Future. In Mabey C, Knights D (Eds.) Leadership Matters? Finding Voice, Connection and Meaning in the 21st Century, New York & London: Routledge, 17-33. Jeanrenaud SJ, Jeanrenaud J-P (2017). Challenging. In Sustainable Business: a One Planet Approach. In Jeanrenaud S, Jeanrenaud J-P, Gosling J (Eds.) Sustainable Business. A One Planet Approach, Chichester: Wiley, 1-51. Jeanrenaud SJ (2017). Changing: Towards a One Planet Approach. In (Ed) Sustainable Business. A One Planet Approach, Chichester: Wiley, 53-86. Jeanrenaud SJ (2017). The Mindful Promise: Leading with Integrity for a Sustainable Future. In Mabey C (Ed) Leadership Matters? Finding Voice, Connection and Meaning in the 21st Century, London: Routledge. Blaikie P, Jeanrenaud S (2013). Biodiversity and human welfare. In (Ed) Social Change and Conservation, 46-70. DOI. Jeanrenaud SJ, Fisher R, Maginnis S, Jackson W, Barrow E (2010). Linking Conservation and Poverty Reduction: Landscapes, People and Power. In Roe D, Elliott J (Eds.) The Earthscan Reader in Poverty and Biodiversity Conservation, Earthscan / James & James, 27-41. Jeanrenaud SJ (2016). European Policy Brief. Innovation for Sustainability. Implications for Public Policy. ABIS, Brussels, Belgium, ABIS. 7 pages. Jeanrenaud SJ, von Stamm, B, Ernst, D (2014). Towards Sustainability Oriented Innovation: Insights from the Sustainable Innovation Lab (SusIN Lab). XXV ISPIM Conference, Dublin, Ireland 8-11 June, ISPIM. Howard MB, Jeanrenaud S, Correia F (2012). Desso and the Cradle to Cradle Challenge: Rethinking Carpet as a Closed Loop Supply System. Cranfield, UK, European Case Clearing House (ECCH). Bessant J, Adams RJ, Jeanrenaud S, Overy PC, Denyer D (2012). Innovating for sustainability: a systematic review of the body of knowledge. Network for Business Sustainability, London, Ontario, Canada, Network for Business Sustainability. Jeanrenaud SJ (2008). The Future of Sustainability. Have your say!. IUCN, Gland, Switzerland, IUCN.